Events included youth entrepreneurship tours, special lectures, and a start-up idea competition. 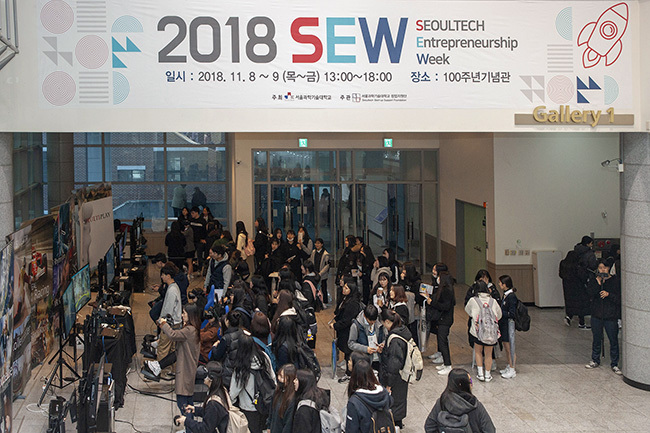 From November 8th to 9th, the SeoulTech Start-up Support Foundation hosted the '2018 SeoulTech Entrepreneurship Week' (SEW) at the 100th Anniversary Memorial Hall. The SeoulTech Start-up Support Foundation was established to support student start-up ideas by means of assisting the processes of patent application, prototype production, and more. 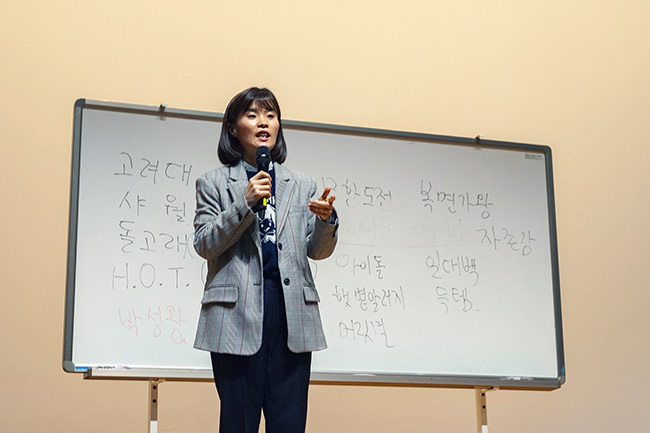 On the first day of the event, featured programs included the 2018 SeoulTech Entrepreneurship Consortium, the Young Entrepreneurship Tour, the Fourth Industrial Revolution Experience Center, and the Start-up Idea Competition. The Youth Entrepreneurship Tour included promotional booths and a flea market set up by student start-ups. In the Fourth Industrial Revolution Experience Center, various attractions included a Virtual Reality station (with equestrian, rollercoaster rides, rhythm games, and sporting activities), stamp tour, and photo zone. On the second day of the program, the Start-up Idea Competition, Young Entrepreneurship Tour, special lectures, and giveaway event took place with the competition award ceremony wrapping up the event. The event came to a close with the awards ceremony in which some contenders were awarded with awards and prizes.